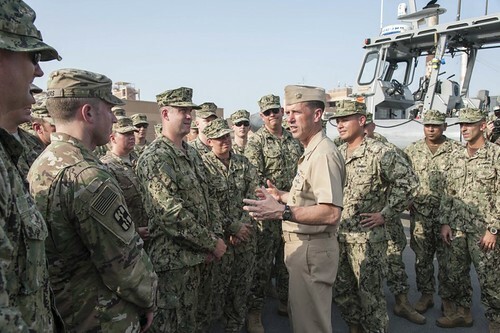 NAVAL SUPPORT ACTIVITY BAHRAIN (NNS) -- The Chief of Naval Operations (CNO), Adm. John Richardson, made his first visit to the U.S. 5th Fleet at Naval Support Activity (NSA) Bahrain. MANAMA, Bahrain (NNS) -- The U.S. Navy and Royal navy completed U.K./U.S. Mine Countermeasures Exercise (MCMEX) 17-3, a quarterly bilateral exercise, in the central Arabian Gulf, Sept. 21.